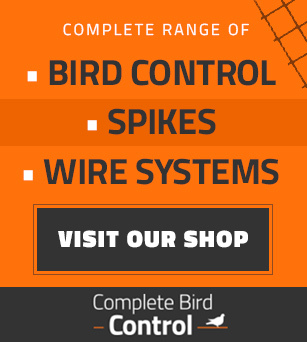 Total Bird Control are UK specialists in all aspects of humane bird control for both domestic and commercial applications. As part of The Busters Group of environmental companies, we have many years of experience in working with homeowners, commercial businesses, local authorities and housing associations to deliver bird proofing and bird removal services that solve Britain’s bird problems. Our head office is based in Birmingham but we also have offices in Bristol, London and Manchester. This allows us to provide a highly effective and timely service to resolve bird problems across the UK. 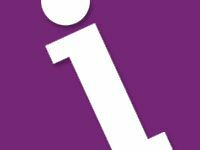 Health risks and serious illnesses - Pigeons and Gulls are considered a common pest and their droppings can give rise to diseases such as Ornithosis, Salmonella and E.Coli. Infestation by bird associated insects – including biting insects, bird mites, fleas, ticks, lice etc. 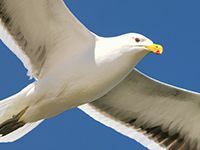 Damage to buildings – Pigeons and Gull droppings contain acid, which can cause damage to buildings and can also damage the paintwork on cars. Accidents – Droppings on pavements and fire escapes can be dangerous when wet, thereby creating a slipping hazard. Fouling and contamination – Air conditioning systems and other water sources can easily become contaminated, with associated risks to health. Flooding problems – Rainwater gutters can become blocked by droppings and associated debris, causing overflows and leaking, with potential damage to walls and roofs. Noise and disturbance – Can sometimes be a problem from Pigeons and Gulls roosting around your property. Loss of reputation - And damage to customer relationships can occur, as a result of problems with birds around your premises. Fines under the Food Safety Act 1990 – Can be imposed due to non compliance with Health & Safety legislation. Bird Spikes - Bird spikes and coils are an extremely effective deterrent that can be easily incorporated into a buildings exterior; either glued or drilled into surfaces such as ledges, windowsills and general perching locations. We supply bird spikes in a range of sizes and strengths for different bird types. Find out more on our bird spikes section. 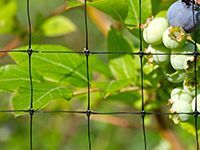 Pigeon Spikes - We also offer pigeon spikes, which are very similar in design to bird spikes but built to take the increased weight of a pigeon. 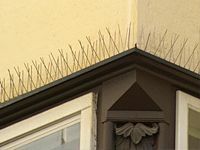 Pigeon spikes are a recommended deterrent of the RSPB (Royal Society for the Protection of Birds), and are one of the most humane ways to solve pigeon perching issues. If you are experiencing a bird & pigeon control problem at your home or business premises then please do not hesitate to contact us. The sooner you call us in, the sooner we can implement a plan of action to eradicate the problem for you. We are one of the UK’s leading specialists in bird & pigeon control and can offer you a cost effective solution to combat the issues you are facing. We have several years experience in dealing with the kind of problems that pigeons, seagulls, crows, ravens, Canada geese, starlings and others can cause. We operate a 24 hours a day, 7 days a week service and we are committed to providing you with a swift, discreet and highly professional service.